With over 65 years of expertise in the Press manufacturing industry, Lien Chieh Machinery (LCM) continues to expand their product selection and now offer a wide range of Die Tryout Presses. All of their Hydraulic Die Tryout Press Machines cater for a wide variety of operations and with the added functionality of some Die Spotting Presses they are very versatile as well. All LCM Die Tryout Presses are easy to use, easily accessible, and allow for ergonomically correct work to be performed during testing of the die or mold. This is because of the optional slide tilt system with moving bolster that eliminates the need for annoying overhead work. Also since the slide is fitted with optical safety curtains and locking devices it is very safe and easy to operate. 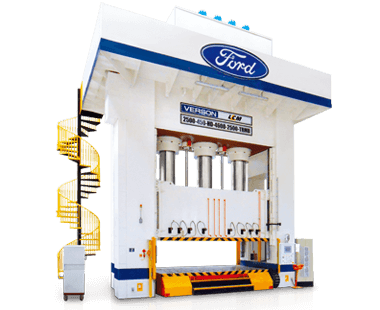 Furthermore all LCM’s Hydraulic Press Machines are meticulously designed and built, in-line with customer requirements using the latest quality control and testing equipment. This allows for their machines to accurately simulate a wide range of drawing systems found on Hydraulic and Mechanical Presses. Die Tryout Presses are the key to fast die set-up time and are essential to ensure that correct die manufacturing results in accurate and smooth parts manufacturing. With a very knowledgeable design team, LCM is well known for their accurate and efficient Hydraulic Die Tryout Press and Tryout Press machinery and equipment.